Grandson of Alfred the Great, arguably the first real King of England. 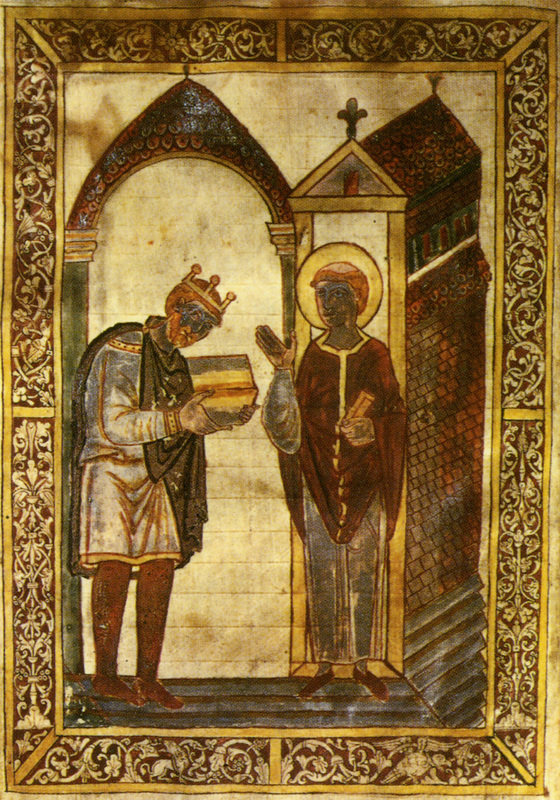 Æthelstan or Athelstan (Old English: Æþelstan, Æðelstān; c. 893/895 – 27 October 939) was King of the West Saxons from 924 to 927, and King of the English from 927 to 939. He was the son of King Edward the Elder and his first wife, Ecgwynn. Æthelstan's conquest in 927 of the last remaining Viking kingdom, York, made him the first ruler to control the whole of England, and he is regarded by historians as the first king of England. [a] He claimed the title of 'king of the English', and after the submission of Scottish and Welsh kings later in 927 even 'king of Britain'. Victory over Scottish and Viking forces at the Battle of Brunanburh in 937 confirmed his prestige. His reign had been overlooked and overshadowed by the achievements of his grandfather, Alfred the Great, but he is now considered one of the greatest kings of the West Saxon dynasty. The view of the 12th century chronicler William of Malmesbury that "no one more just or more learned ever governed the kingdom" has been endorsed by modern historians. In the view of Frank Stenton: "In character and cast of mind he is the one West Saxon king who will bear comparison with Alfred." Simon Keynes agreed, writing that he "has long been regarded, with good reason, as a towering figure in the landscape of the tenth century...he has also been hailed as the first king of England, as a statesman of international standing, and as the one Anglo-Saxon ruler who will bear comparison with king Alfred the Great." Michael Wood regards Offa, Alfred and Æthelstan as the three greatest Anglo-Saxon kings. His household was the centre of English learning during his reign, and he played an important role in continental politics, According to Frank Stenton "Between Offa and Cnut there is no English king who played so prominent or so sustained a part in the general affairs of Europe."